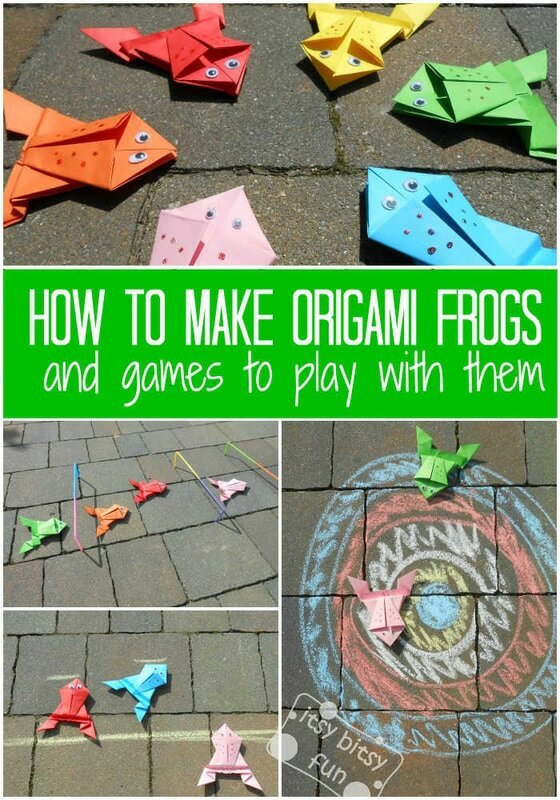 This is something I really loved to do as a kid, me and my neighbor would do dozens of origami frogs and play with them. 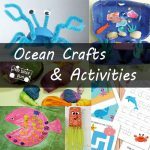 I think we did two different activities with them (plus pretend play). 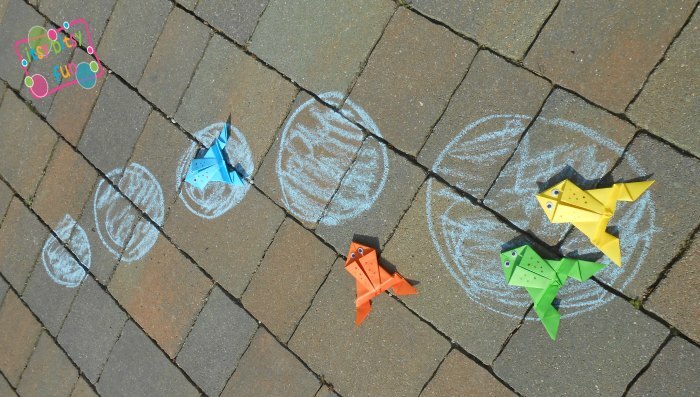 Distance jump and high jump but I’ve gotten a bit more imaginative since then so in this post you’ll see how to make an origami frog and get 5 ideas on how to play with them! 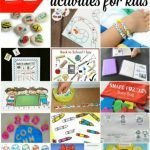 There are quite a few tutorials on how to make one that actually jumps but most are a bit to difficult for the kids to master, some are easier but if you ask me so I’ll stick with this one as it’s one I know best. All that you need is a sheet of paper. 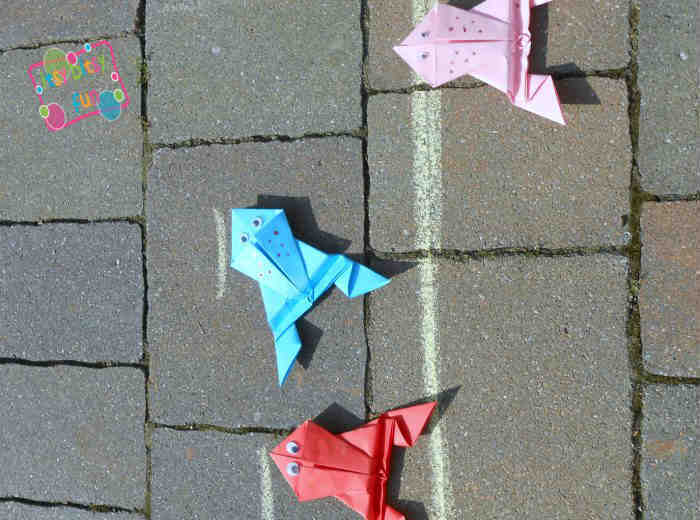 The regular one works best as it’s easy to fold and it’s light which does make an impact on how the frog jumps. 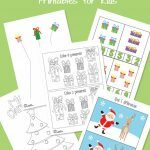 You can have the kids experiment different kinds of paper (and different sizes) – I think it would make a fun activity where kids will be able to see what an impact the weight of the paper has on the end product. I’ve got a regular sheet of green paper. 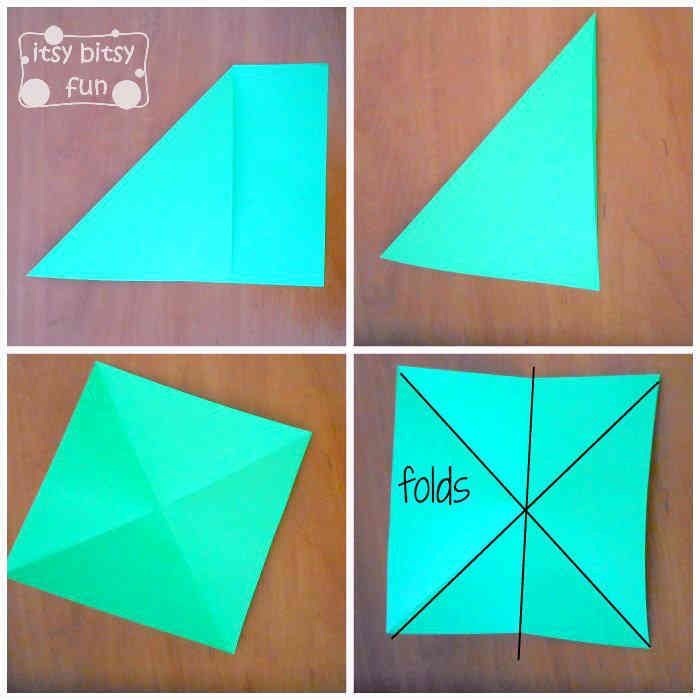 Fold it as shown on the first image and cut out the excess paper in order to get a square. 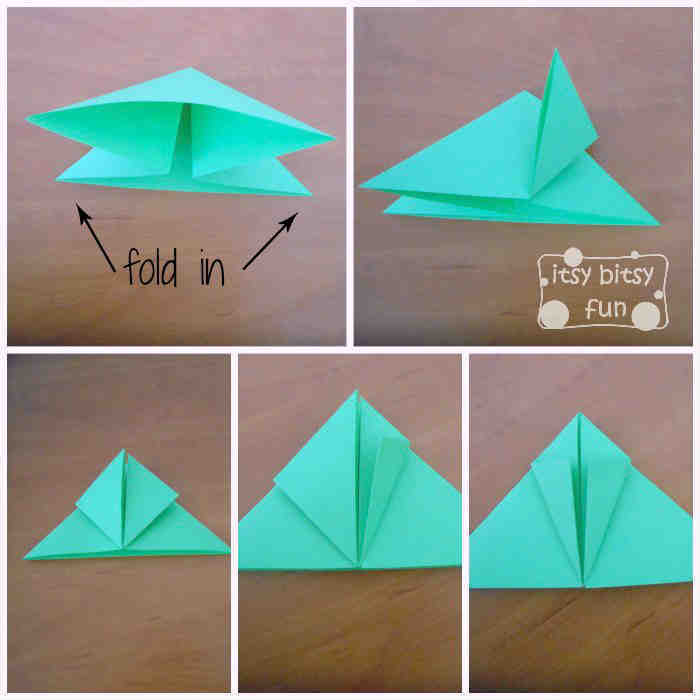 Fold it diagonally and in horizontally (you should get folds as shown on the picture 4). Fold in the horizontal fold (as seen in the picture 1) so that it is aligned with the centre. 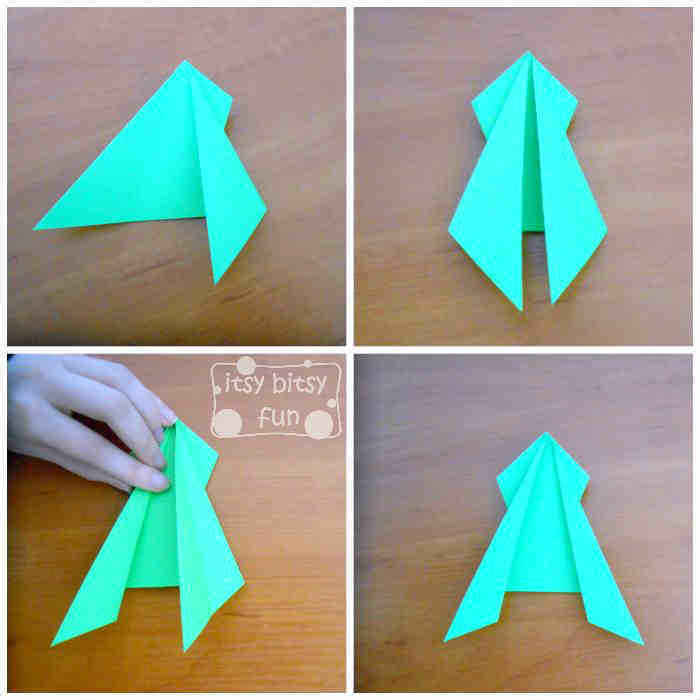 Fold the corners (as seen in picture 2 and 3) and fold them again as seen in picture 4 & 5. 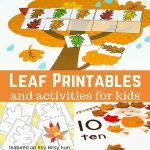 Flip the soon to be an origami frog over and start folding the legs. When you are done with the legs flip the frog again. It should be looking pretty cool by now. Now to make it jump you will have to fold it back and forth – the black lines show where you should be folding the frog – the line on the right being a fold back and the one on the left fold forward. 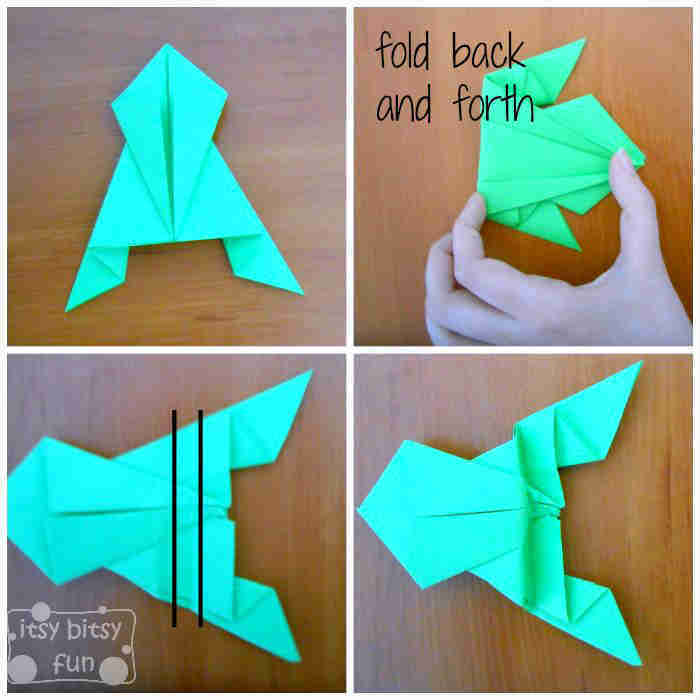 The last folds – the distance between them make a huge impact on how the frog jumps (or doesn’t) so be sure to make more than one and give them a test run! 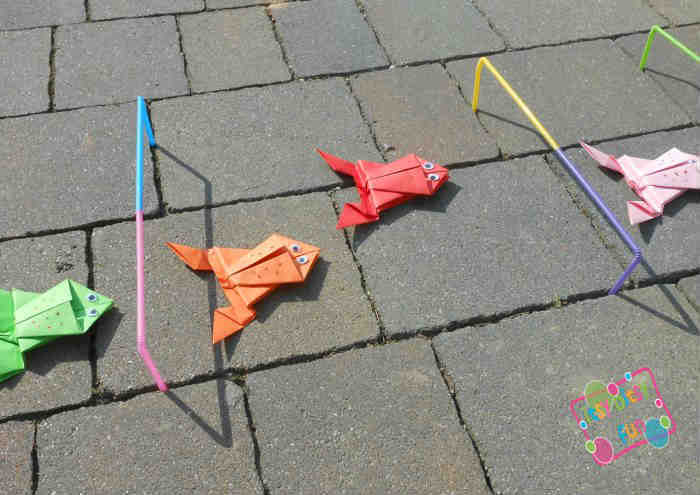 Obstacle Jump – kids can make obstacles out of drinking straws (or twigs, cardboard…) and race origami frogs – they advance to the next one only if they jump over the obstacle. 2. 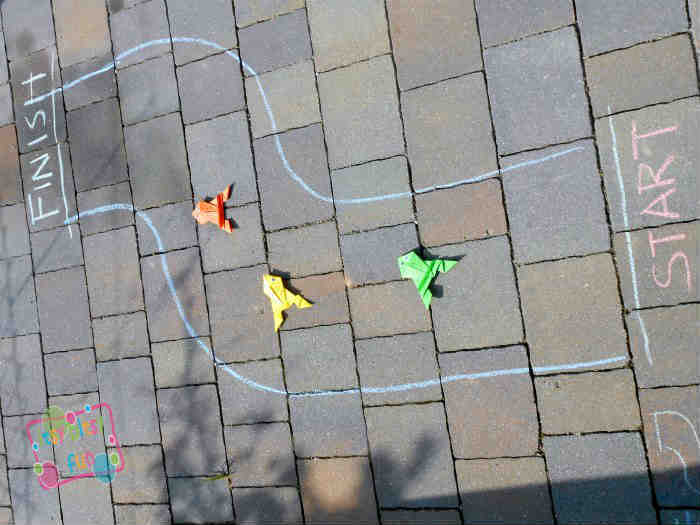 Frog race – draw a track with chalk and have kids take turn jumping with their frogs. 3. Distance Jump – who will jump the furthest? 4. 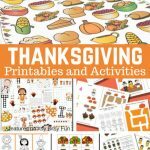 Hit the Target – draw a circle target. 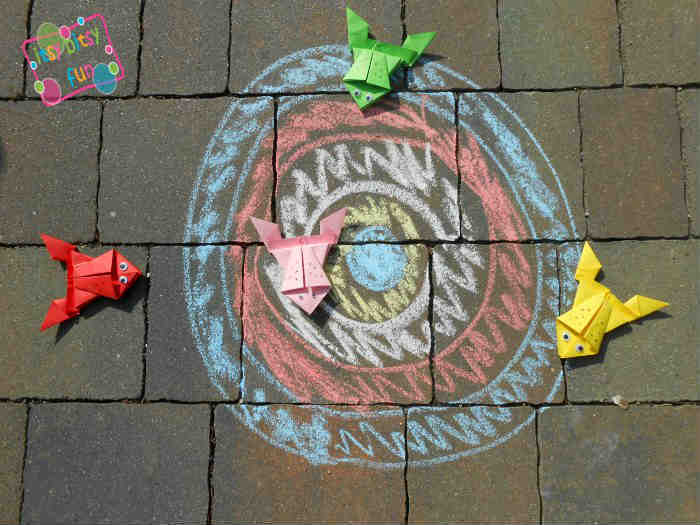 Place the frogs outside the circle and jump. The closer to the center they jump the more points! 5. Pond Jump – draw circles (different sizes). Kids start in the first circle and have to jump in the next one. If they hit it they progress to that circle if they miss it they stay in the first one hoping for better luck in the next turn.